Small independent retailers face a tough road ahead to survive. Small stores are at a disadvantage: the lack of deep pockets and resources, tough competition from big businesses, and declining sales. Technology is always a significant investment, so much more for a small retail store. However, the benefits that technology brings can be tremendous. Using technology can help your retail store reduce its labor costs, improve productivity, automate a lot of manual tasks and help you better manage your inventories. 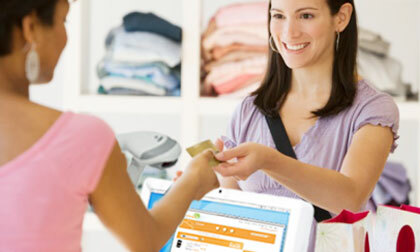 For example, many Point of Sales (POS) technologies can help speed up your checkout process through faster scanning and allows for faster error corrections, resulting in happier customers and reduced cost for you. It is essential to control labor costs without sacrificing the quality of your retail store’s customer service. Labor is often one of the biggest expenses of a retail operation. One way to lower your labor costs is to use technologies that allow you to streamline inventory taking as well as install advanced time and attendance systems that prevents early time in/time out and improves scheduling processes. Many POS systems also help you cut training time for new employees through easy to use touchscreen directions, automated help and web support. Retail shrinkage includes the loss and theft of your inventory. It can be due to shop lifting, administrative and paperwork errors such as pricing mistakes or failure to record all markdowns, or vendor fraud. However, employee theft including discount abuse and refund abuse is the biggest source of retail shrinkage. Taking the necessary steps to reduce shrinkage and loss can dramatically improve your return on investment. Be proactive rather than reactive, and install a loss prevention program in your retail store. Use internal controls and systems with built-in checks and balances, such as management approval on refunds and credits as well as checking employee purchases. You can use real time alerts monitoring that can help you track price overrides, or refunds without offsetting purchase transactions. Keep your most expensive products under lock and key in glass cabinets to deter shoplifting. Instruct your sales people to be alert at all times, and ensure that the store has no blind spots that can help prevent you or your employees from monitoring the customers. Review your credit card processing costs and fees, and invest the time to understand the costs involved in processing payments. Look at your credit card processing monthly statements, and find opportunities where you can reduce your costs. Don’t hesitate to check with your provider and ask about specific charges and fees that you do not understand but appears in your monthly statements. Some vendors may charge for setup but waive fees on other services, while others may advertise for low rates but charge more for service items. Compare merchant service providers to find where you can reduce costs. You can also use technology to reduce costs of processing financial transactions. Use electronic signature capture to eliminate the huge stack of credit slips filed and makes it easier to handle disputed transactions. 5. Use data and numbers to improve your operations. As a retail store owner, it is essential that you understand your financial numbers – and what your numbers are telling you about the state of your business. You must understand the numbers that you need to look at to ensure a healthy cash flow for your retail store. In addition to financial statements, add business intelligence and analytics in your arsenal. Find a solution that will fit your budget that can provide you with insights to help get the right products in the right quantities and at the right time. There are tools that can help you develop an accurate merchandise plan as well as the right product-mix for your retail store. Also use analytics to help you gain a deeper understanding of your customers. Invest in systems that will help you gain customer knowledge in order to help you craft better marketing strategies. Collect data from your existing customers – especially email — to help you develop more targeted and personalized marketing offers. 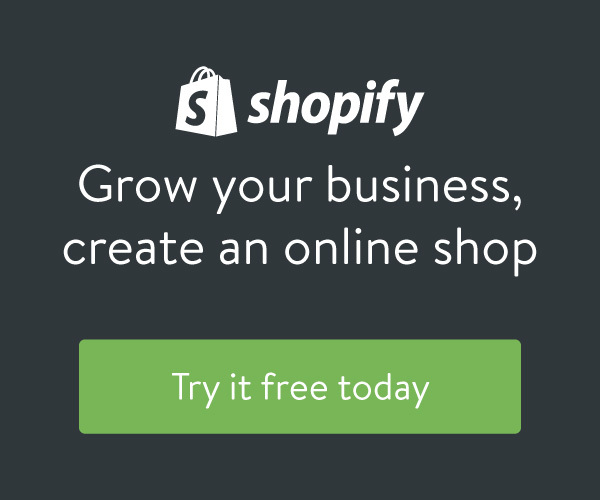 Find ways and solutions that will help you track a customer’s history with your store – e.g. purchase history, returns, service calls to customer care center, etc. If you’re on the Web, be sure to use an analytics tool such as Google Analytics to know what your customers are looking for, how they are finding your website, and how they are behaving on your site. You’d want to track online shopping patterns of your customers and provide them with personalized offers. Employ a number of marketing tools such as email, newsletters, blog, social media and others to help customers deepen their engagement with your store. Regularly review the tools and technologies that you are using in your retail store. You may be using old systems, such as older POS software, that may be proving costlier to maintain and delivers less benefits for your business. Talk to your internet provider or telecommunications provider to see if they have new plans that will allow your business to reduce costs. Technology can be scary; more so given that the expense of keeping a permanent IT persona on staff may be beyond the reach of many small businesses. However, the myriad benefits that technology can bring to your retail store should not be overlooked. Keep track of the developments in retail technology solutions to find options that will address your needs and fit your budget. As the mass merchandise stores move into smaller towns, small independent retailers will feel the pinch even more. To survive, you need to continue to change and update your merchandise mix. Rethink your product mix, and carefully introduce new items while gauging the overall response of your customers. Customers want to see something fresh and new. The Internet is an important business tool that connects your independent retail store to your customers within your area — as well as those from around the globe. Retailing is not just local anymore, and the Internet makes that happen. Think of the Web as an extension of your store and consider measures to sell your products on the Web as well.